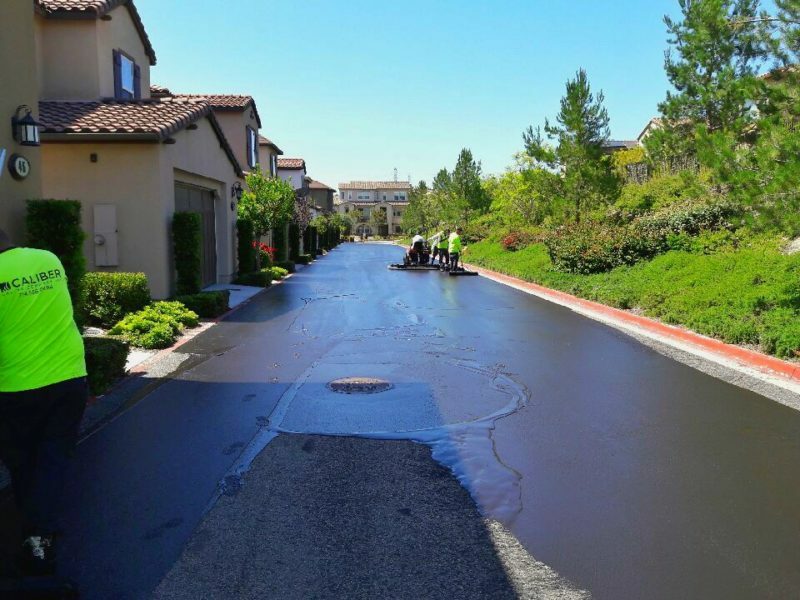 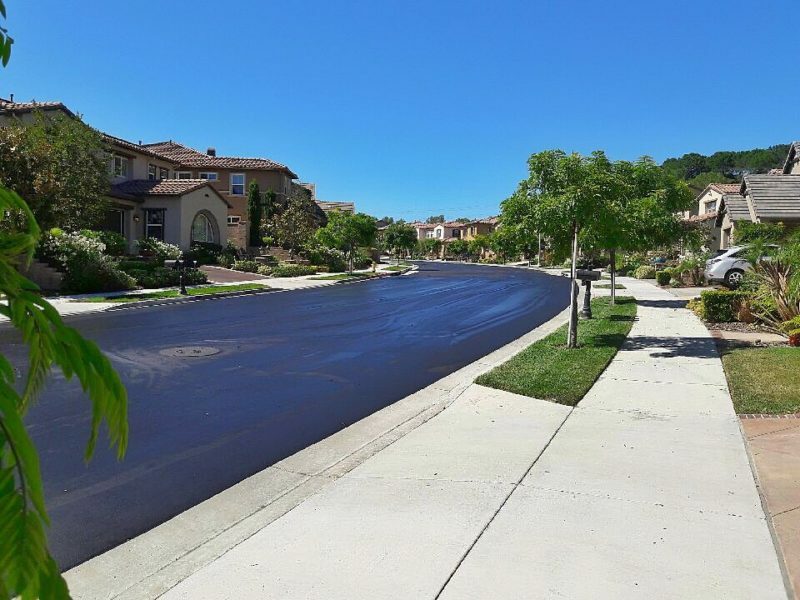 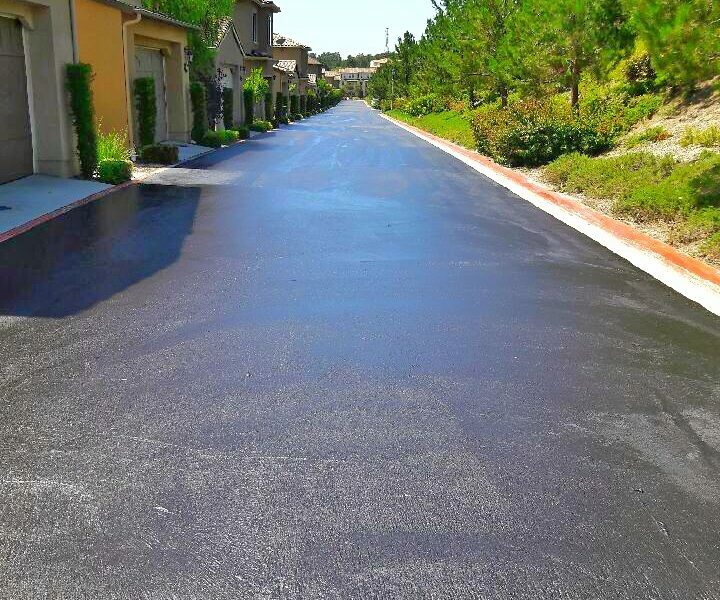 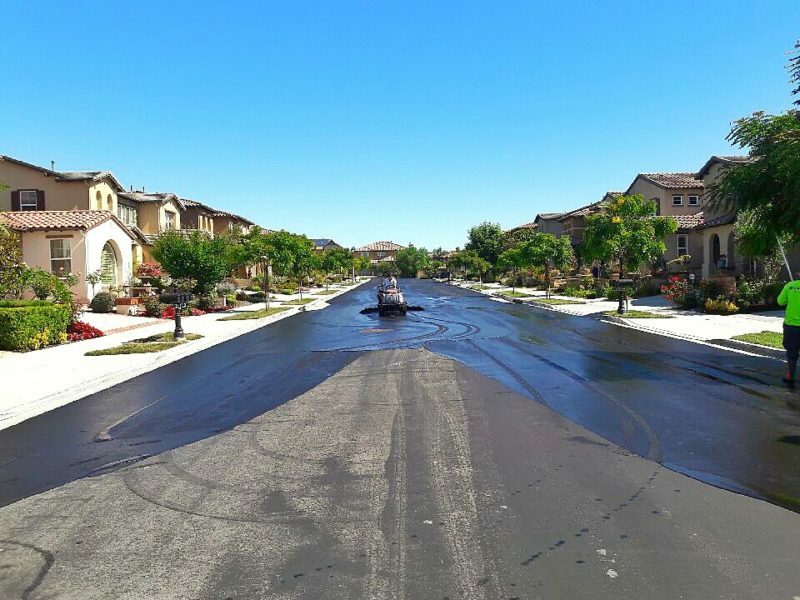 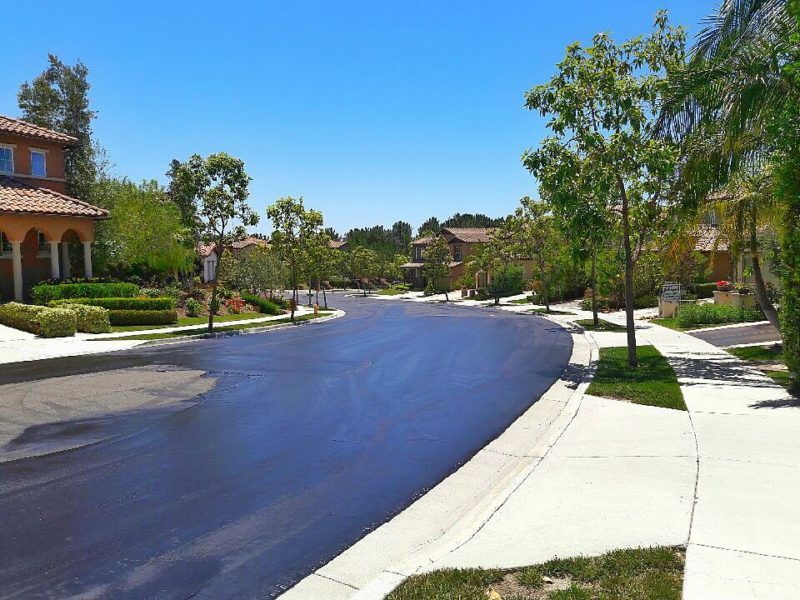 Seal coat season is in full swing and these pictures show a recent job located in Aliso Viejo. 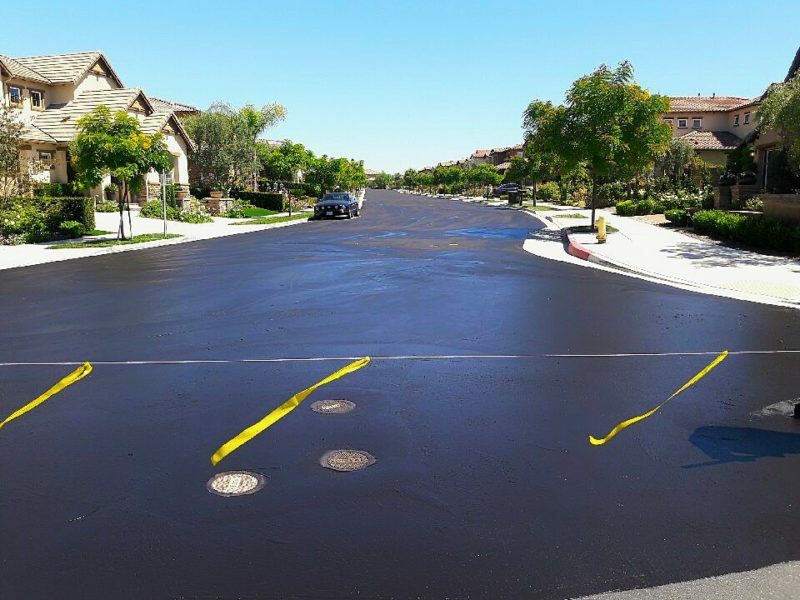 Prior to the seal coating process the HOA (Home Owner Association) got two new asphalt speed humps installed to regulate speeding vehicles in those two specific areas of the association. 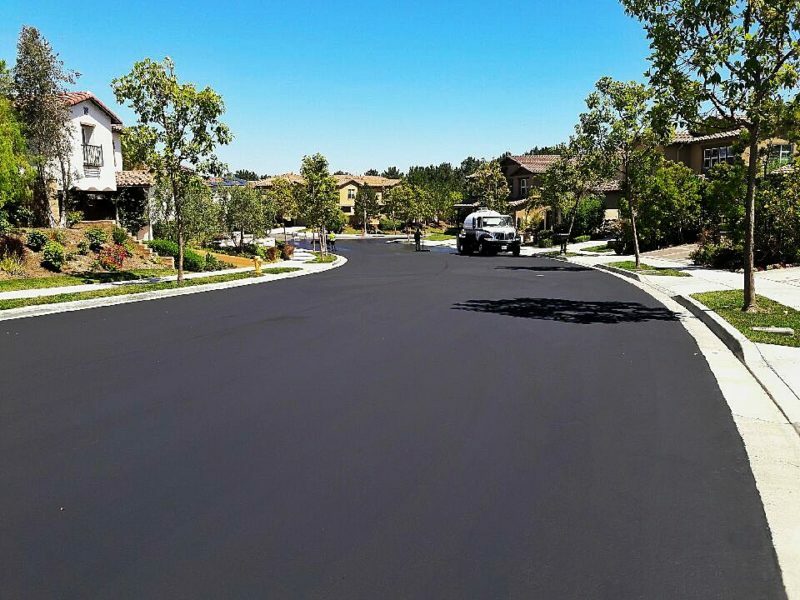 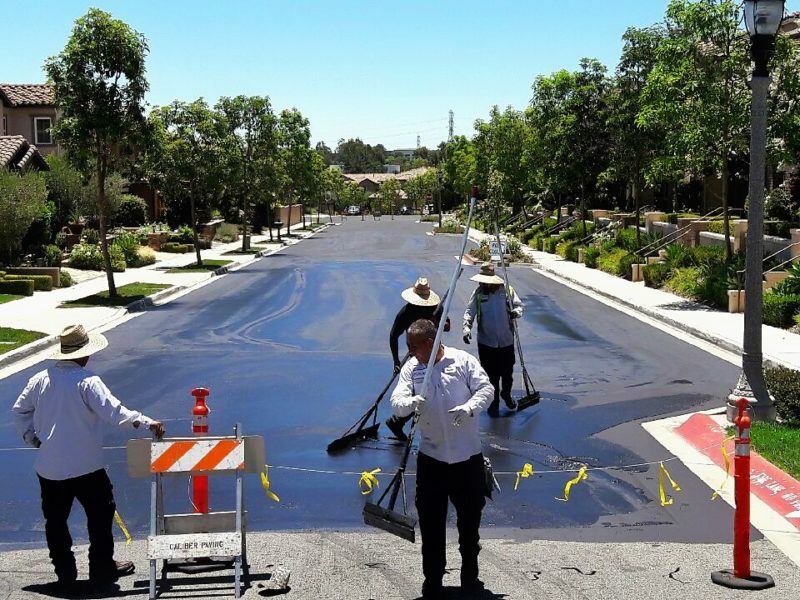 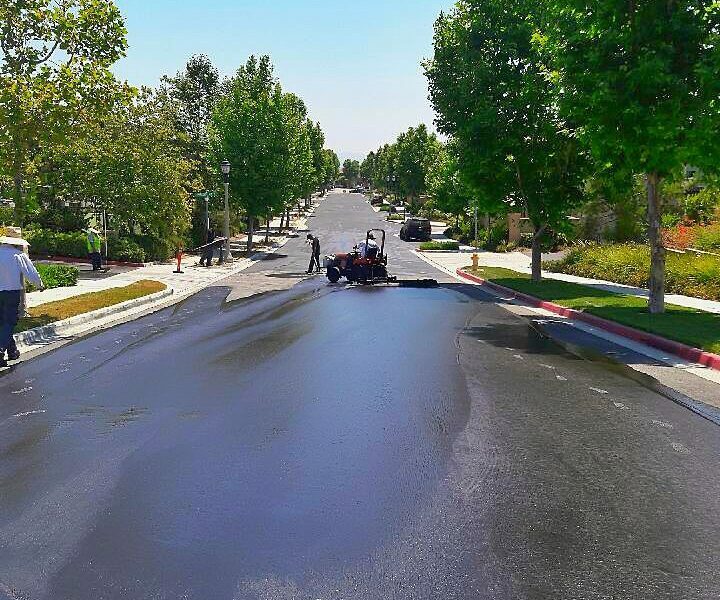 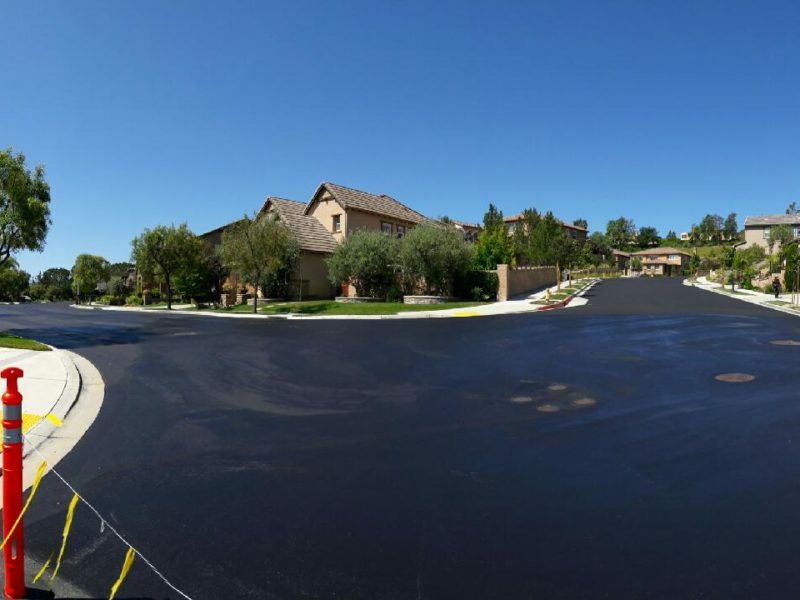 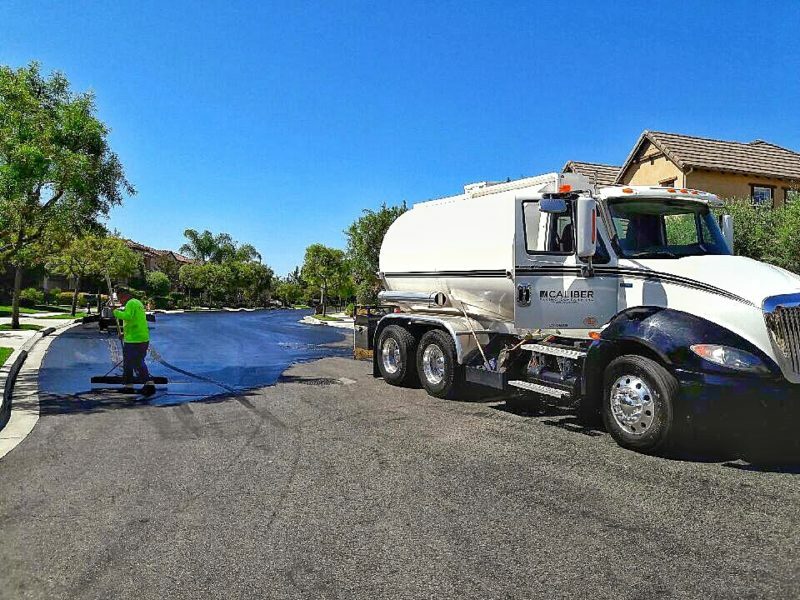 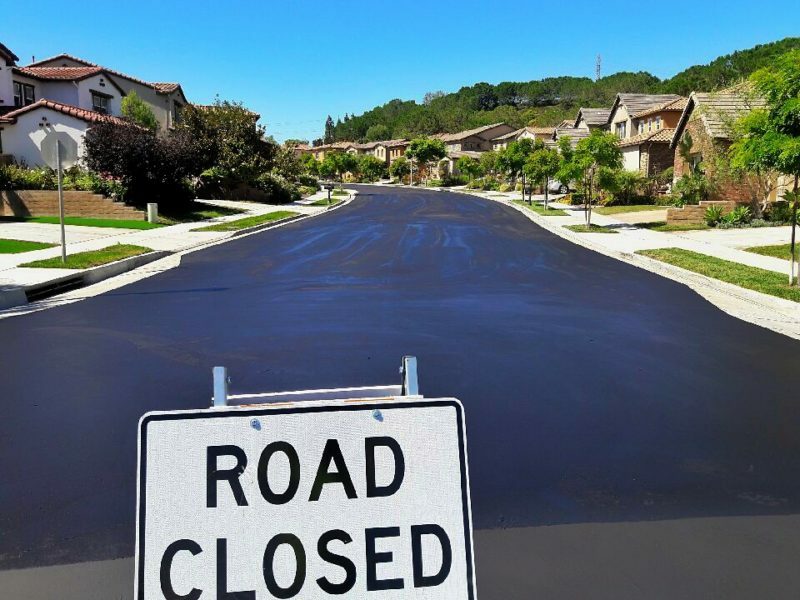 Asphalt crackfill was also applied to help prevent moisture from seeping into those larger cracks resulting in an increased rate of damage and deterioration to the surrounding asphalt. 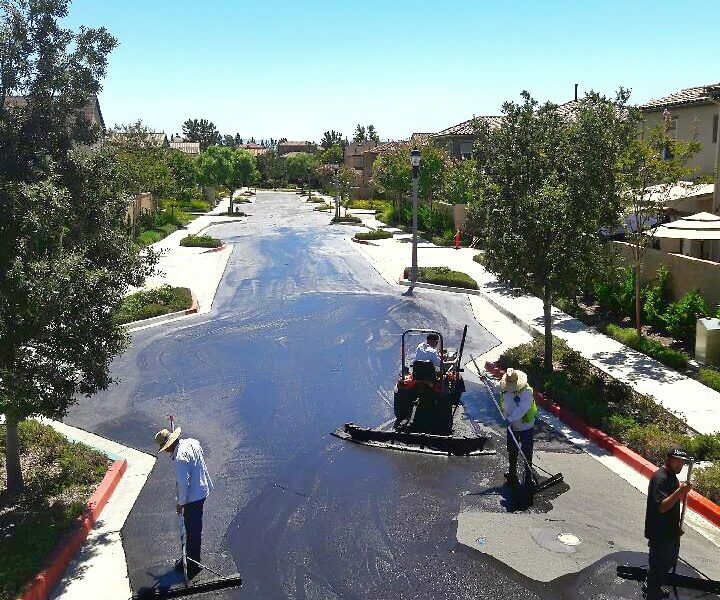 Two coats of seal coat were then applied in a span of six separate moves to make it more convenient for the tenants and more attainable for the crew. 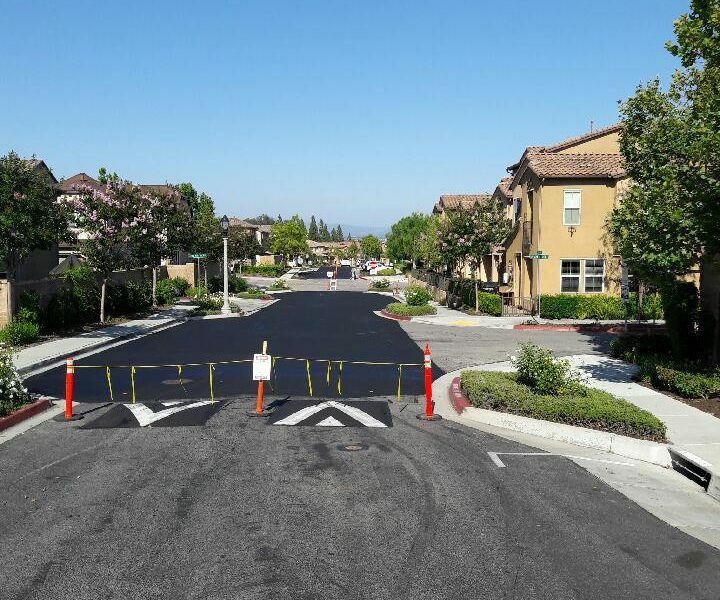 After the seal coating process was complete the re-stripe of the existing pavement paint markings as well as new ones were applied. Caliber Paving also included signage which included such signs as “pedestrian crossing” and “speed hump” signs in various areas. 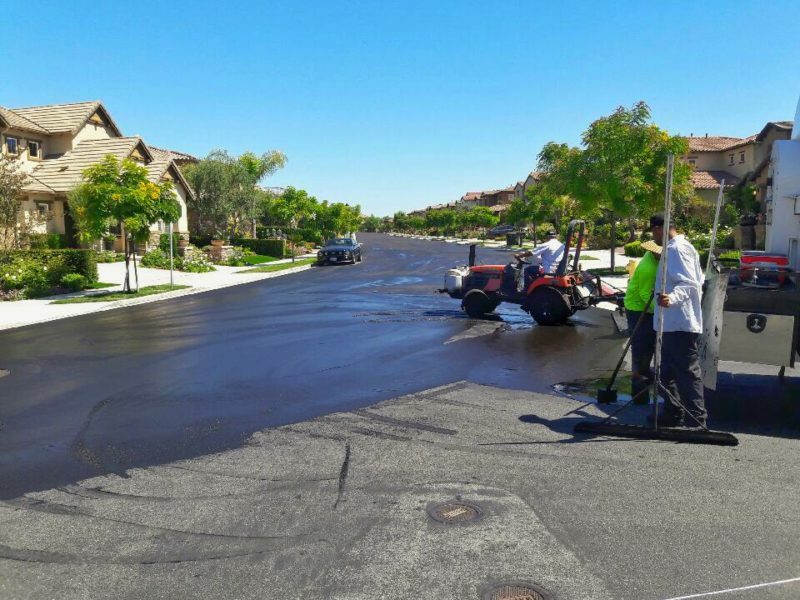 With the weather providing perfect conditions and the Caliber Paving crews doing their great work as always, this job is another great example of “Caliber Quality” work.